Today we hiked from the Summit Hut via Mount Thor to Windy Lake; around 25 km. Whilst walking I spotted a bright, white animal. It appeared to be a bright, white rock amongst a group of other rocks. I exclaimed “Is that a hare? 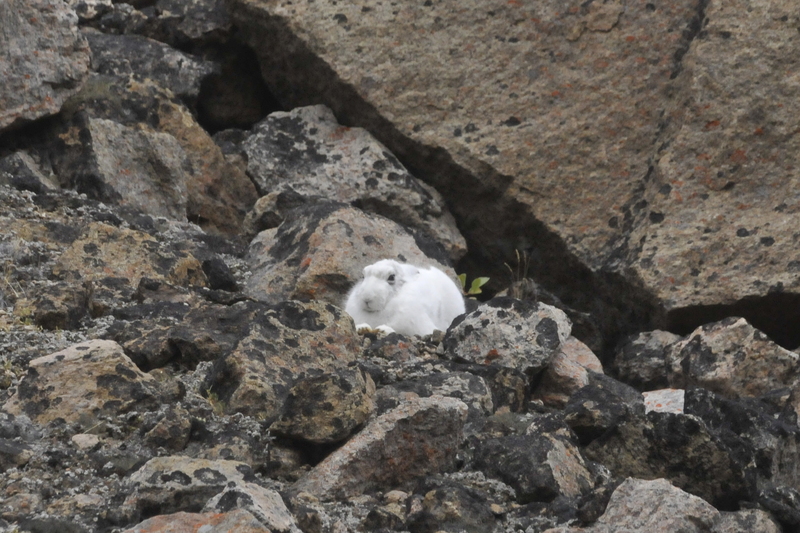 !” and with binoculars we could confirm that it was indeed a large, completely white, winter coat Arctic Hare, sitting among the rocks, thinking it was completely camouflaged. AJ crept up close and got some quite up close photographs. We stood back and watched the hare, sitting there thinking it was completely camouflaged and resting. We also passed large groups of Lesser Canada Geese with goslings, which was fantastic to see; truly wild, breeding lesser Canada Geese. As we were walking, we also encountered a collosal crash of thunder, and to the side of us, near Mount Thor, a huge rock fall occurred, and from the mist came crashing down massive boulders the size of houses, and they tumbled all the way down the incredibly sheer rock face, causing a massive cascade of rock all the way down the mountains! The wet weather cleared and the views became stunning all the way through the valley. 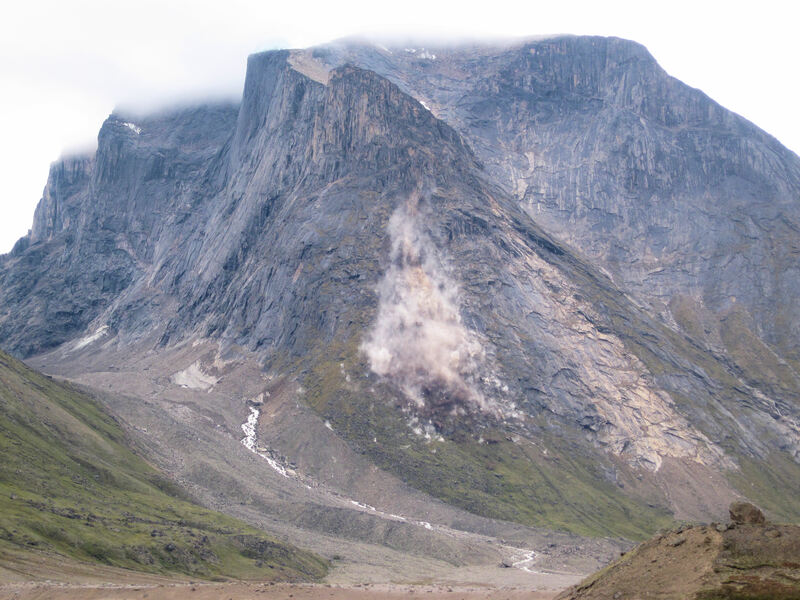 Hanging glaciers, tumbling glaciers and tens of waterfalls, and some very short and pristine, and very colourful patchwork tundra. It was another wonderful day in the Arctic Circle.